Kaolin Rose Soap – mmm this smells so good! I’m not usually a fan of rose items but am loving it, and the colour is lovely! Made with goats milk and and shea butter. 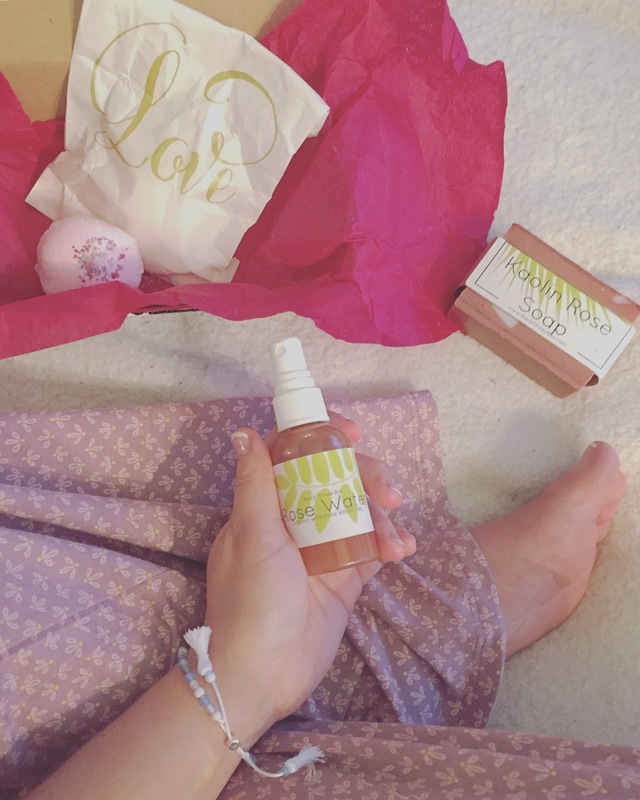 Rose Water – I really like this spray, it’s infused with the rose kaolin clay and witch hazel! Bath bombs – we have 2 different ones here, very purdy!